Today will likely be a class and WOD that you’ll remember for quite some time, as not only will we be utilizing the pull-ups bars to learn the Jumping Pull-Up, we will embark on our first HERO WOD!!! Hero WOD’s are a popular and very important component of the CrossFit community; they are named after a fallen hero (military veterans, law enforcement officers, firefighters, etc.) and meant to serve as a tribute to that hero and to those that they have left behind. Furthermore, many of the hero WOD’s are known to be some of the most difficult workouts out there. This gives us within the community a small taste of pain and sacrifice to better remember and pay tribute to the fallen. 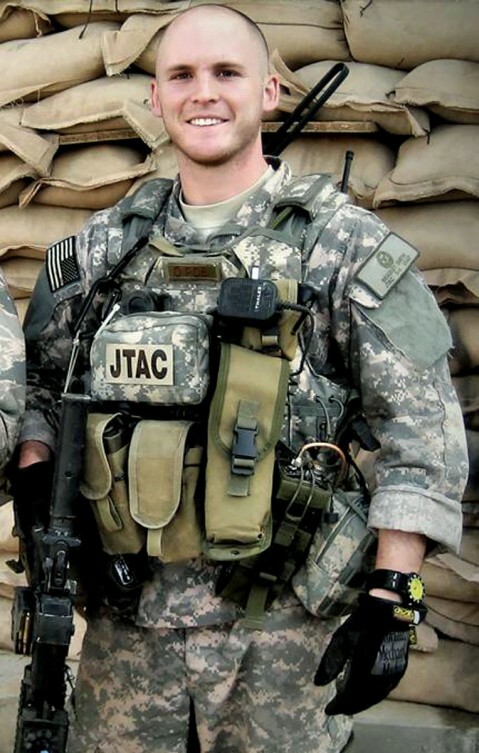 Today’s Hero WOD is to honor U.S. Air Force Senior Airman Bradley R. Smith, 24, of Troy, Illinois, who was assigned to the 10th Air Support Operations Squadron out of Fort Riley, Kansas. Senior Airman Bradley Smith was killed on January 3, 2010, by an improvised explosive device in Zhari district, Kandahar Province, Afghanistan. He is survived by his wife Tiffany, daughter Chloe, parents Gary and Paula, and brother Ryan. Today’s workout is to honor Senior Airman Bradley Smith, his family, and all of the veterans who have served and who are currently serving our nation. *Stop if you hit 10 rounds!